Author: Binyam Sisay Mendisu. Series edited by: Hans-Jürgen Sasse †, Mauro Tosco. 12 pp. Roman, 218 pp. This thesis seeks to provide a descriptive account of the verbal morphology of one of the under-documented Omotic languages of Ethiopia: Koorete. The study explores in detail both the in­flectional and derivational verb morphology of the language. Moreover, it includes a thorough discussion of verbal negation and focus marking in the language. Koorete is an Omotic language of the Afroasiatic phylum. The language family consists of around 25 to 30 languages/dialects and is mainly classified into Eastern Omotic and Western Omotic. Koorete belongs to Western Omotic. The primary objective of this study is to provide a linguistic description of the verbal morphology of the Koorete language. In order to meet that goal, the study presents an investigation of both the inflectional and deriva­tional verb morphology of the language. Other related topics to the verb, namely negation and focus marking, are also given due attention in this work. Previous linguistic studies made on the language so far are far from adequate, making the language one of the least-documented lan­guages in Ethiopia. Thus, in terms of scale and depth, this study will be the first major contribution to linguistic research made on the language. This, in turn, will aid documentation of the linguistic facts of Koorete. In describing the morphology of Koorete, what is recently known as Basic Linguistic Theory (BLT) is adopted. 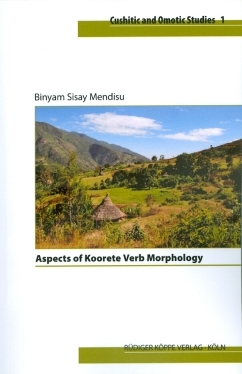 Binyam Sisay Mendisu’s book about Koorete verb morphology is founded on a solid theoretical base, and the grammatical descriptions are clearly structured and easily understandable. [...] The numerous references to grammaticalization processes in Koorete are an especially interesting aspect of the book. Binyam for example explains how the negative auxiliary evolved from a full verb, which is still in use in the language, and how cleft sentences can be the origin of focus constructions. 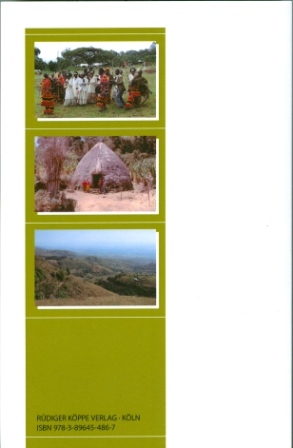 In any case, Binyam made an important contribution to the documentation of the hitherto scarcely described Koorete language.